Visit to Santa booked? Pantomime tickets on the way? 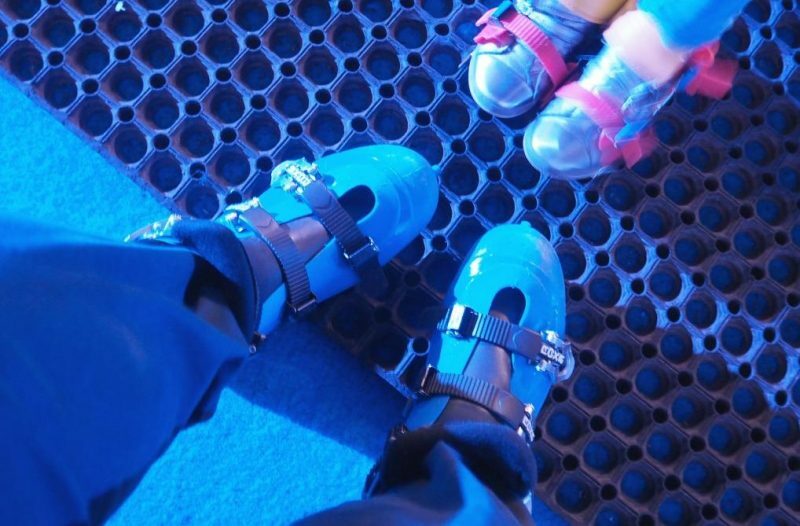 Ice-skating at the garden centre planned? 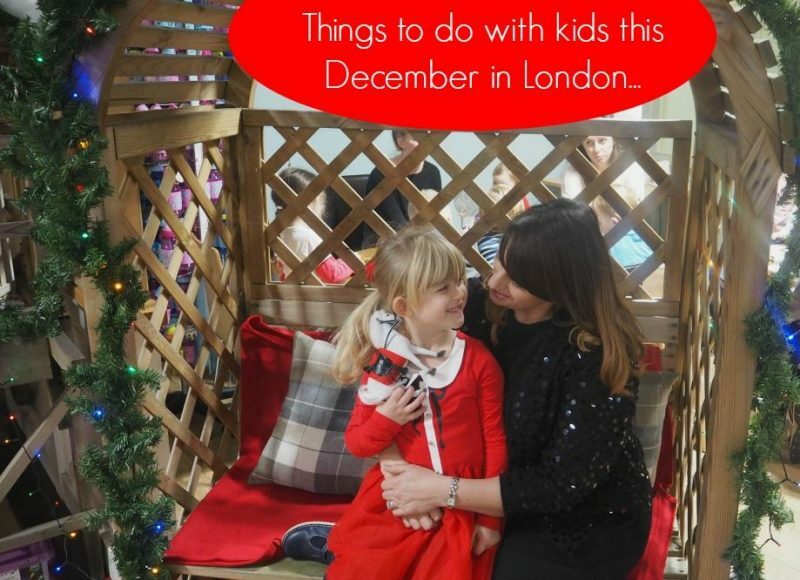 Then you might think you have all your Christmas activities with the kids all sewn up… but I have a few suggestions for things to do with the kids this December in London. 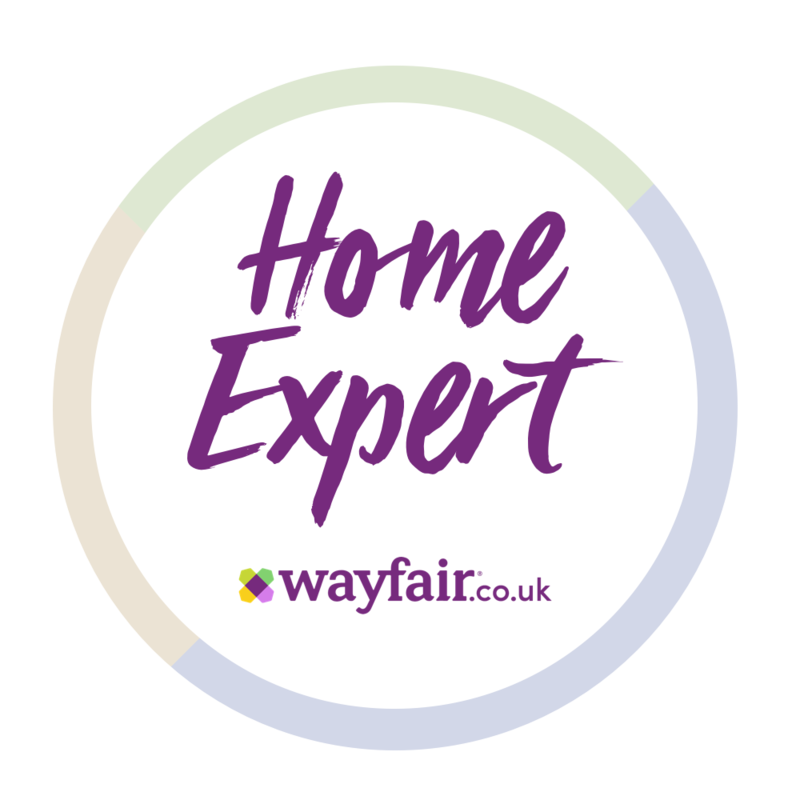 I find having a few extra events up my sleeve are a great way to not only keep the kids entertained but they are perfect for doing with friends and family – meaning you can kill two birds with one stone – have some Christmas fun and socialise with everyone too. 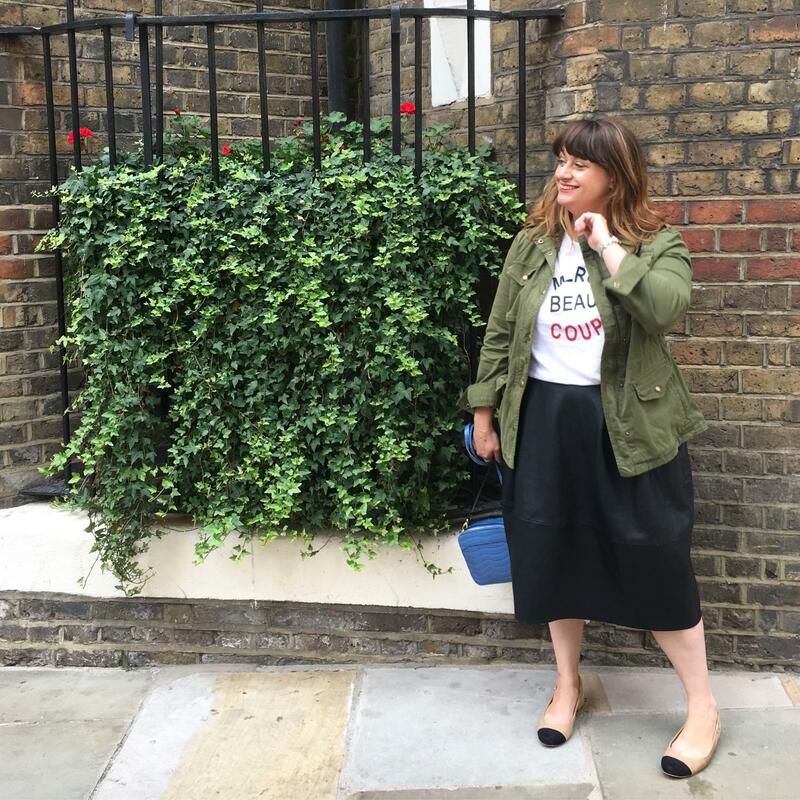 Having things to do all throughout the whole of December helps to spread the festivities to more than just the ‘one big day’ – and yes it can be expensive, but you can’t indulge in December when can you? Here is a few events, activities and days out that are worth booking NOW! 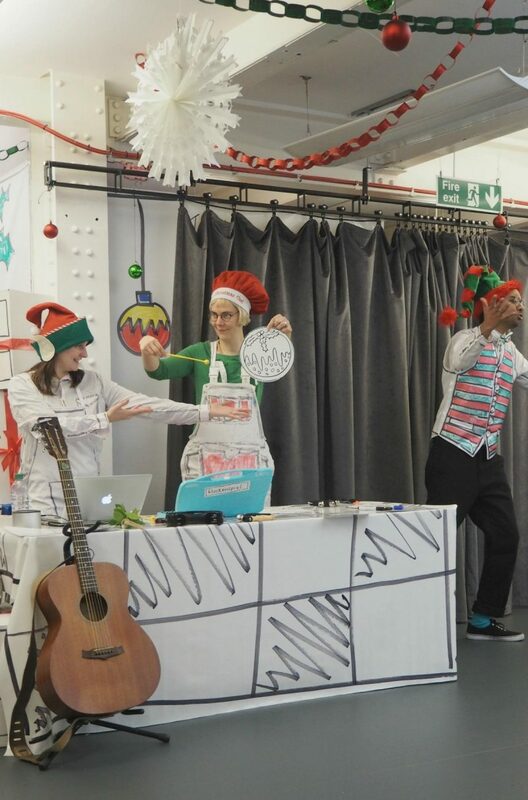 Miss M and I enjoyed a press preview Ready Steady Colour Christmas Feast an interactive, music, art and storytelling experience. 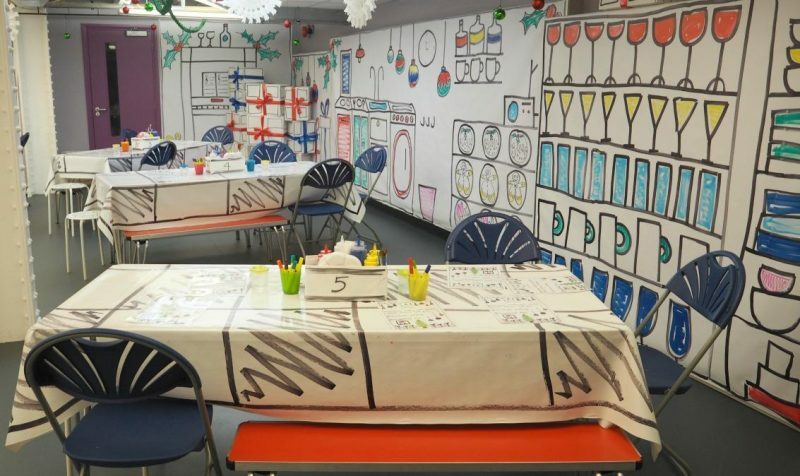 We stepped inside a pop-up restaurant, placed our order for a black and white ‘Christmas Dinner’ – or in our case puddings – from the jolly restaurant staff and got creative. 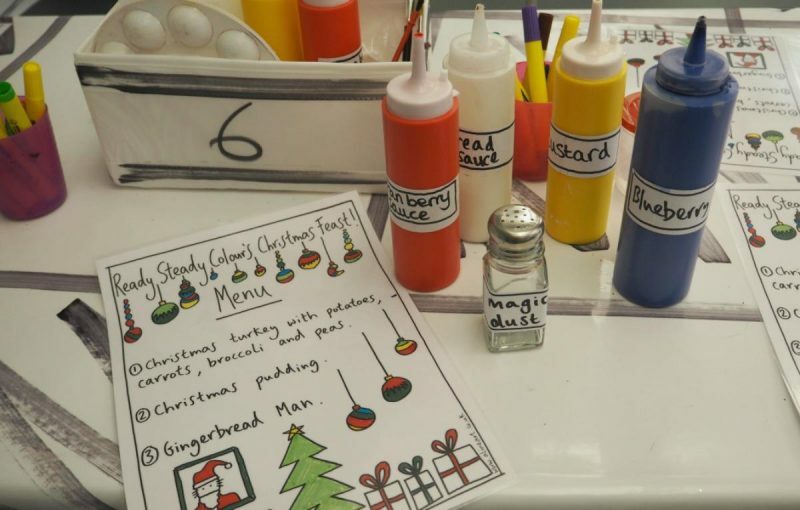 With Cranberry Sauce (red paint), Custard (yellow paint), Blueberry (blue paint) Bread sauce (glue) and a sprinkle of Magic Dust (glitter) we decorated the hand-painted birchwood plates (by A Line Art who painted over 4000 for the shows run) as the staff sing the ‘condiment song’. 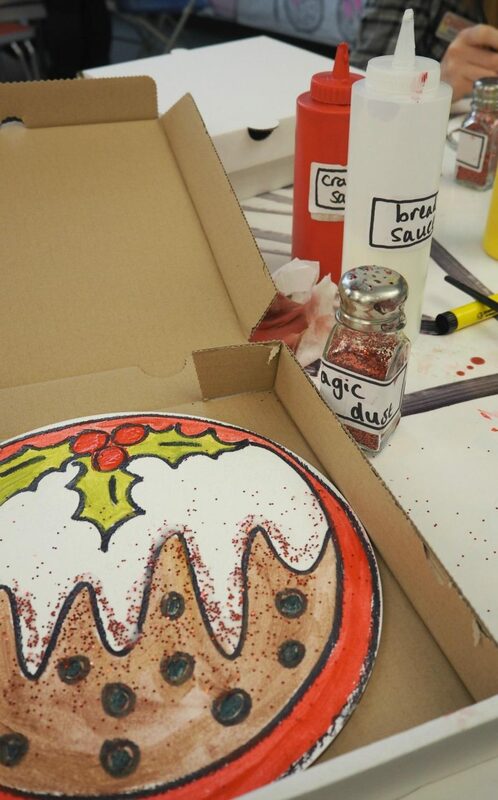 Creative, fun and Miss M loved it – especially as we got to box up our plates and take them home. For some traditional Christmas fun – Winter on the Green is a premium ticket-only mini Christmas festival. 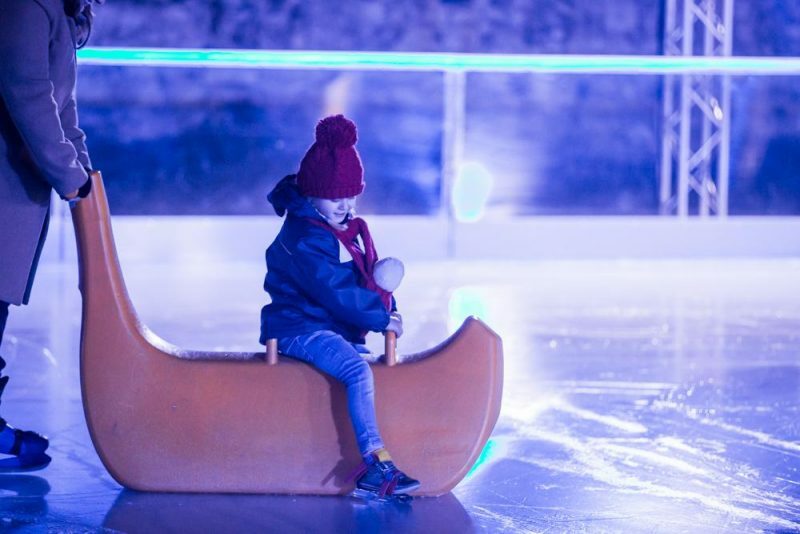 With all-weather ice-skating, a Christmas market, gourmet food and drink and an interactive fun fair zone there is plenty for all the family to do. What’s more there’s even an open-air big screen cinema where you can watch classic Christmas movies like Elf, Frozen and Home Alone under snuggly blankets, a family afternoon rave by the experts Big Fish, Little Fish and live music and carols throughout the day. 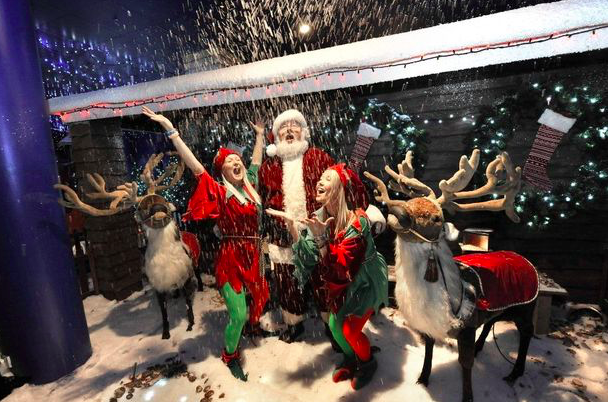 Wrap up warm and experience a mini festive-themed festival in the heart of South West London. 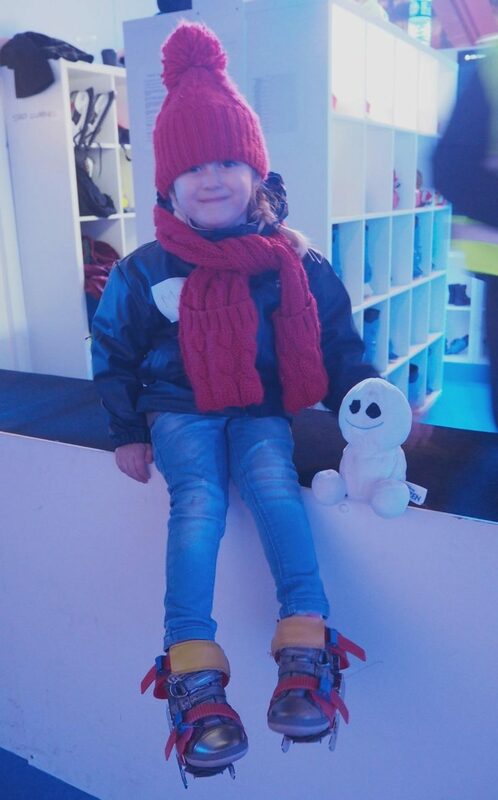 We’re big fans of Disney on Ice (read more here) – but Miss M is beyond excited that this year’s offering is Disney on Ice Frozen – meaning more of her favourite princesses. The perfect Christmas and New Year week treat – I mean what little girl or boy wouldn’t love to see their best-loved characters from Finding Nemo, Toy Story and of course, Mickey and Minnie Mouse dancing on ice? 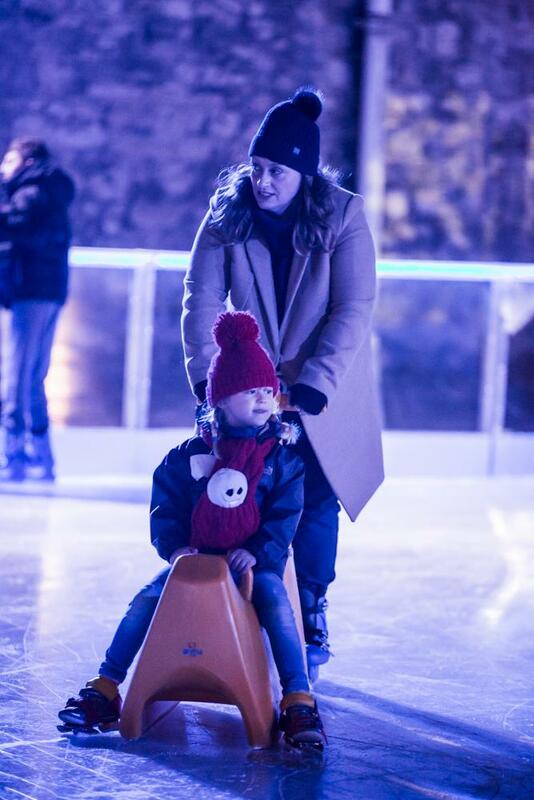 We were lucky enough to go along to a Disney and Mothers Meeting event this week which saw us skating with some of the stars of the show on the Tower of London ice rink. 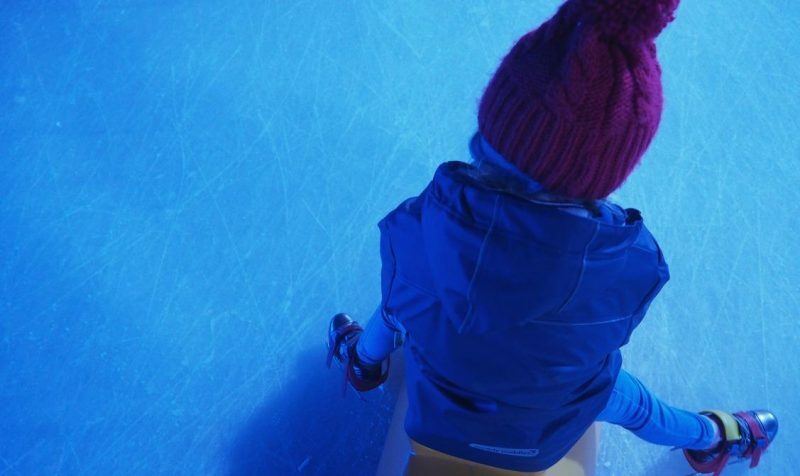 Miss M didn’t really ‘believe’ they were the Disney stars (due to them not being in their ‘real princess clothes’) but watching them literally glide on the ice and me holding on to Miss M’s banana skating aid for dear life told me otherwise. We’re heading to the show on opening night and I’m not sure who’s more excited! 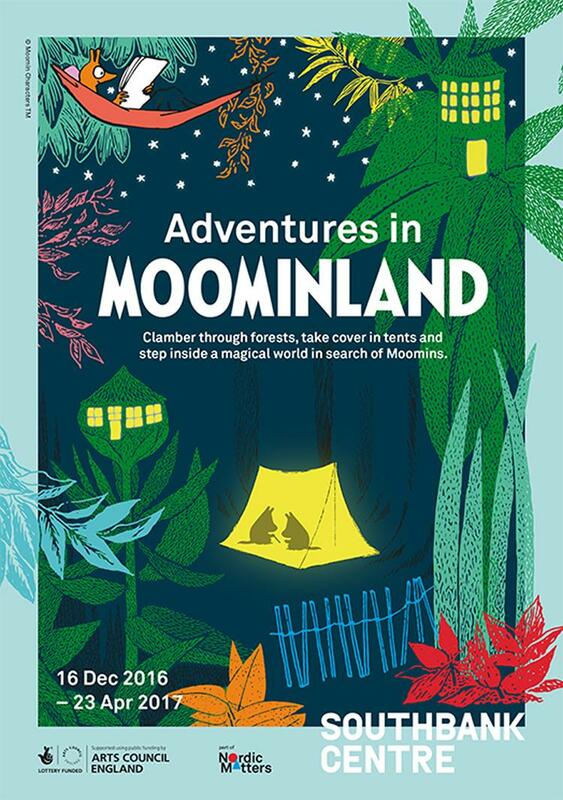 If you can’t fit this in in December you have next year to experience this major new exhibition Adventures in Moominland. 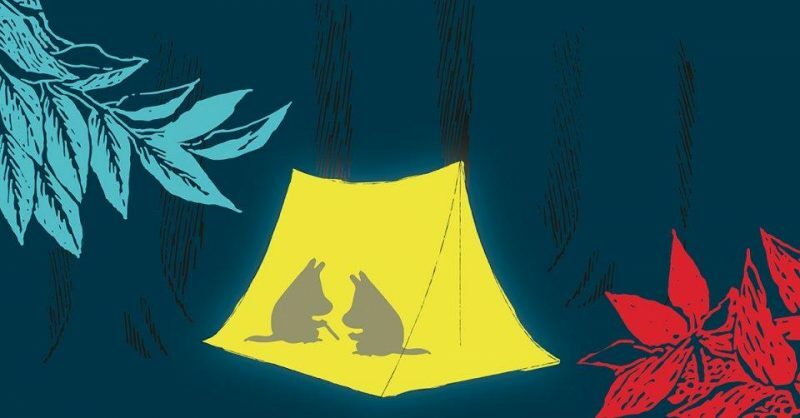 The first ever Moomins exhibit of its kind in the UK – its far from a traditional museum visit as you can get with this immersive and interactive offering. With more than 40 items of archive material including original drawings, painting, 3D objects, letters and personal items from the Finnish author Tove Jansson – whose infamous Family Moomintroll will be brought to life via seven worlds and a guided audio narrative by Sandi Toksvig. 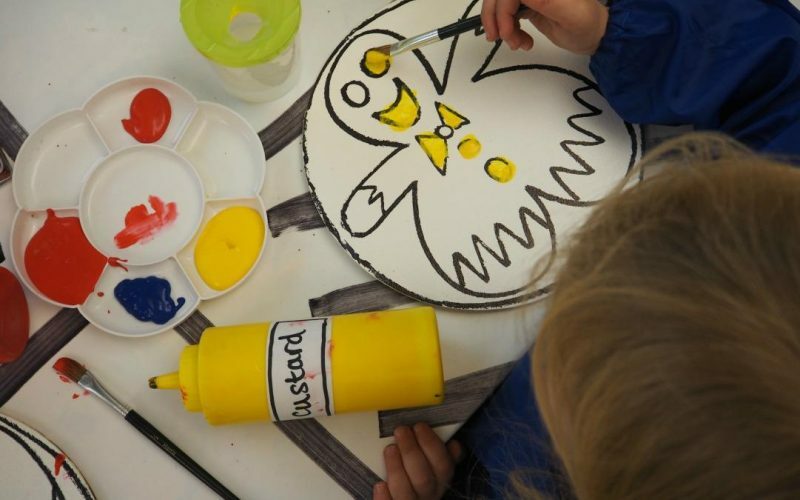 It’s also part of the Southbank Centre 2017 festival offering many other Moomin themed events including comic strips displays and a pop-up shop. We’ve been to a few of The Little Disco Company’s events over the past year – and I can confirm it really is a fun family afternoon disco. The thought of being at a kids party in the middle of a bar in the afternoon may sound like a crazy idea – but really it’s not. Organised in safe but totally cool venues – parents can relax at the bar (that’s if you’re not already on the dance floor) while kids under 7 are entertained by the two mum’s who run the show – from spinning the tunes at the DJ booth, handing out inflatable guitars and leading the party games – it’s the best mini (daytime) disco in town.